The failure of Big Pharma to develop an Alzheimer’s drug has been well-documented in the corporate-sponsored “mainstream” media. As Alzheimer’s diagnoses continue to increase, drug companies are scrambling to develop the next big drug to market to seniors. In modern times, the most successful drugs in sales, so far, have been cholesterol-lowering statin drugs, as one out of every five people over the age of 50 are now taking drugs to lower one’s cholesterol, raking in billions of dollars for pharmaceutical companies. The failed scientific hypothesis behind these drugs is that cholesterol is a cause of heart disease, and that diets high in saturated fats contribute to high cholesterol. The pharmaceutical industry and the U.S. government cannot afford to reverse their warnings against saturated fats and cholesterol, however, as it would be the same as confessing that the entire statin drug industry has been a scam, and that statin drugs actually cause more harm than good. This is the main reason why the USDA must continue supporting a low-fat diet and condemning saturated fats, even though the science does not support their positions. It is no surprise, therefore, to learn that peer-reviewed scientific studies continue to show that the high-fat ketogenic diet supports cognitive health and can help prevent or reduce cognitive diseases such as Alzheimer’s. Here are four new studies just published on the high-fat ketogenic diet related to cognitive health. The ketogenic diet is a diet high in fat with medium protein and low carbohydrate consumption. This dietary approach creates ketosis. Ketosis creates ketones, which are produced in the liver from healthy, natural saturated fats. Ketones are converted into energy easily, replacing the need for insulin to metabolize glucose, perfect for those suffering from diabetes 2 or earlier phases of metabolic syndrome leading to diabetes. Alzheimer’s has been referred to by many researchers as a “type 3” form of diabetes that affects the brain. Ketone production offers neurological protection and helps prevent or reverse memory loss, dementia, Alzheimer’s disease, and other neurological issues. The ketogenic diet was first created during the 1920s to successfully help epileptic children who were not responding to conventional medical treatments. The diet fell out of favor with medical doctors after the USDA condemned saturated fats and linked them to heart disease in the 1970s. The benefits of the ketogenic diet have been well-documented in the medical literature for many years now, but here are four recently published studies confirming the benefits of the ketogenic diet for cognitive health. This title is a review of 108 international study reports on the ketogenic diet published over the last two decades. The review was conducted by Italian researchers at the Sapienza University of Rome, Italy, and published in the April 2018 journal, Antioxidants. The researchers analyzed each of the studies to correlate their data, summarizing them with detailed, medically-scientific explanations of the many aspects involving ketogenic dieting for Alzheimer’s disease and other neurodegenerative disorders. These summaries were sectioned off between their introduction and conclusion under the following headings containing references for each study in the review. The general tone of this downloadable pdf 16-page review , which was funded by the Sapienza University itself, was very supportive. It mentions how the ketogenic diet was first created by Dr. Russel Wilder in 1923 at the Mayo Clinic for successfully treating epileptic children who weren’t responding to existing medical interventions. 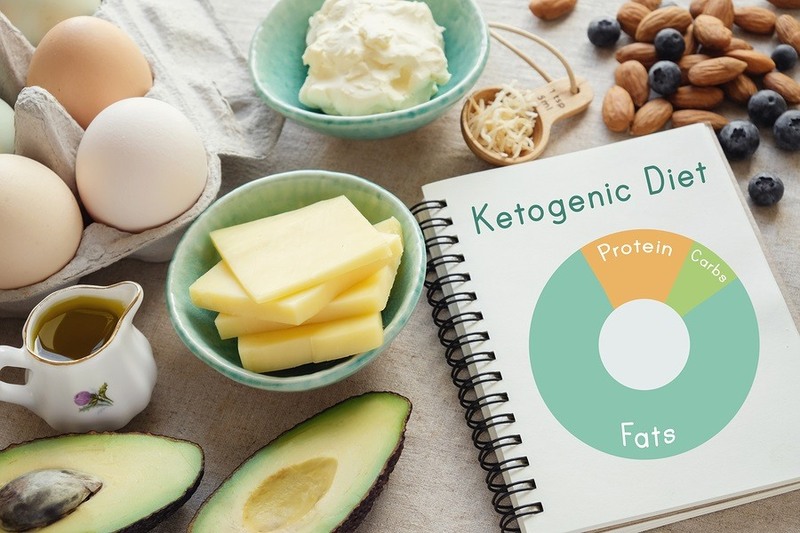 Since then, several variations of the ketogenic diet, with less stringent guidelines, have been used successfully for dementia and diabetes among older folks. Two popular fad diets in recent years, the Atkins diet and the Paleo diet, are variations of the ketogenic diet. Basically, this current extensive study review is more of a “white paper,” which is a persuasive essay using facts and logic to promote the need for more detailed, alternative medical research, as explained in its conclusion. It’s obvious from this review, or white paper, that despite the official establishment naysayers, who use every legal dirty trick to suppress this type of information, the ketogenic diet has demonstrated safe, efficacious results for a wide spectrum of neurological and metabolic disorders. While KD has beneficial effects in disease systems, it is unclear if similar impacts persist in healthy conditions …[to] benefit their neurovascular functions and gut microbiome composition, and whether these changes could contribute to lowering risk for AD, the most common form of dementia. Again, here is a positive, peer-reviewed study that contradicts the official dogma of saturated fat dangers. This study was also published April 2018, this time in the journal, Diabetes and Metabolic Syndrome. A 38-year-old male with metabolic syndrome who had the APOE4 gene, considered a marker for developing Alzheimer’s, who was already experiencing early stage memory problems and had a family history of Alzheimer’s Disease (AD), was placed on a ketogenic diet combined with high-intensity interval training (HIIT) for 10 weeks. This is more evidence that leaning towards a high healthy-fat diet, with the knowledge that saturated fats do not cause poor cardiac health , leads to preventing the rise of dementia. This case study was also published in the journal, Diabetes and Metabolic Syndrome, in April 2018. This time a 57-year-old female with metabolic syndrome, a diabetes 2 precursor, and currently mild cognitive and memory impairment that often leads to Alzheimer’s, was placed on a ketogenic diet for 12 weeks while performing high intensity interval (HIIT) training. Alzheimer’s disease (AD) deaths have increased by 89% since 2000. This alarming trajectory of neurological disease highlights the failure of current best practice. Deteriorating brain fuel supply is the nemesis of intact neurological health. Never-the-less, the attacks on saturated fats and coconut oil persist despite the growing evidence that supports the healthy virtues of high-fat dieting. Read more with the following linked titles. These headlines are examples of what the mainstream press tends to promote. Official “experts” make for fast, easy, and safe reporting. Use coconutoil.com  to compensate against this dogmatic bias, and view the following mainstream TV video from Australia that made waves against the “official” saturated fat dogma and had to be shut down. It’s so well done that viewing again is worthwhile. Here is a round table discussion with doctors and nutritionists discussing the benefits of using coconut oil to combat Alzheimer’s Disease.